this is actually a good point. and i think raises what could only be a moviewatchers ethical dilemma. is the problem to you, that george lucas changed his movie after release? or that he may have made it worse? because i know most of us right now are dying for a 3 disc Blade Runner set with the original, previous directors cut, and the one he's been talking about because the directors cut currently out is one he was 'rushed' to complete. if the director is restoring the film closer to his original vision without compromises he was forced to make, is that not a good thing? so is it tampering with the film after its release? because if so, when is the statue of limitations up? can a filmmaker show a test audience and then change it? what about if it plays a few film festivals? or after its release in theatres but before video? is it only that a film after being with us for so long cant be altered? or that you can change the editing, but not the actual film (IE the special effects etc.) where do YOU stand on this? wow, with this and american graffitti, God only knows how great he could have been had he not committed the next 30 years of his life to star wars. He has been great. Just not in the ways you think. We basically owe the current technological standards to him. Give or take. Better or worse. I have no problems with artists altering their work. I have a problem with studios or other parties altering their work. I'm all for the alterations -- what I'm against is making the original versions completely unavailable. That's what's so great about that upcoming Blade Runner set, and also about the ET disc. You get the best of both worlds. right exactly. me too, even think of it as a 'bonus feature' on the discs they would be fantastic. i think a lot of people however, have an issue with him/anyone making changes at all. I think it depends on who is making the changes. When George Lucas is making the changes, people get worried, because he has a tendancy to make things worse these days. The updated Star Wars CGI was distracting cuz it didn't fit with the rest of the movie. Although it is his movie to mess with. When Speilberg changed little things in ET, I had no problem. Even this isn't that big of a deal. But George has gone a bit soft as a filmmaker, so the idea that he'll really improve anything seems a little misguided, that's all. Oh and is this movie really as good as the trailer suggests? I've not seen the movie before. I hate user unfriendly websites. how do i see the trailer? "Nothing really, I just need something stronger." ?? also, "If you need any help, don't hesitate to ask for assistance." ? personally, I'm not opposed to Directors altering a film after its release, even 20 years after, as long as they make all versions available. Or rather, as long as they do not actively block original theatrical versions from seeing the light of day. 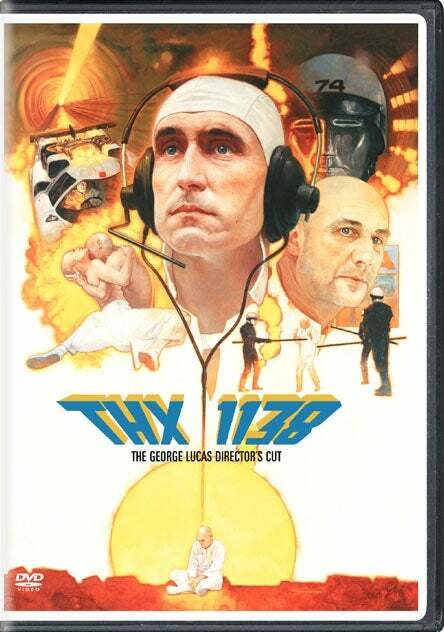 With THX 1138, I can appreciate the changes Lucas has reportedly wanted to make, but I also appreciate the original film as is. I want the opportunity to choose for myself, or to have access to both versions. A Blad Runner box set, or Dawn of the Dead box set with all versions of a film included is the best possible scenario for me. I really enjoyed it. It's the first dystopian future movie I'd ever seen. I saw it when i was a very young kid about 8 or 9 and have locved it ever since. But then, I'm really into dystopian sci-fi. the george lucas directors cut......could there be another kind of directors cut?